Today, I am going to share with you the world of MicroFinance, brought to you by Muhammad Yunus. Microfinance, originally introduced by Muhammad Yunus, has drastically altered the landscape of lending and borrowing in developing countries. 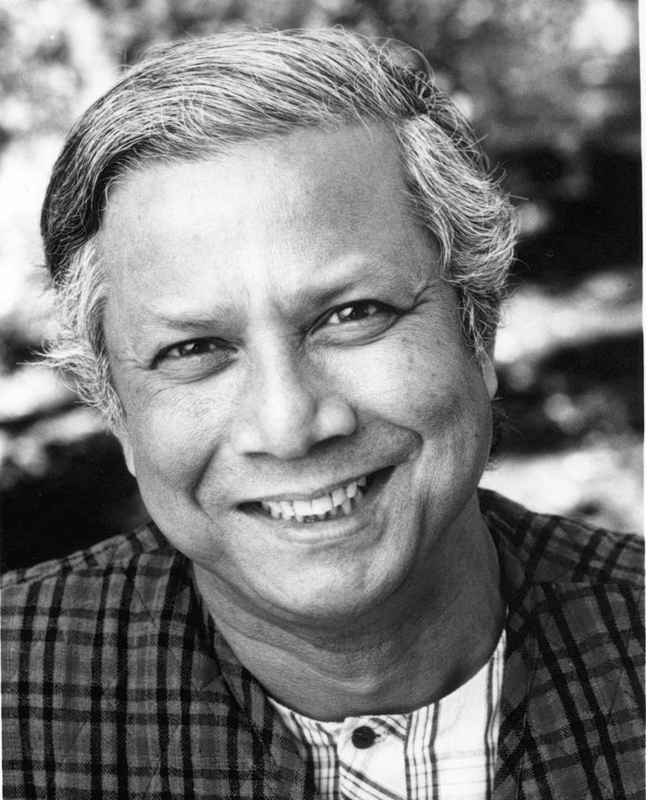 To his credit, Yunus won the 2006 Nobel Peace Prize winner for his work in social and economic development, specifically in the area of Microfinance. Microfinance provides financial services to low-income or solidarity lending groups, including consumers and the self-employed, who lack access to banking and financial services, at lower interest rates. The microloans are usually paid back within six to twelve months, and are reused as other loans, ensuring that more people benefit from the loaning process. The basic idea behind microfinance is exemplified through Kiva, a non-profit company which seeks to connect the less-fortunate with loans that can be repaid over time with minimal interest. Individuals are able to donate as little as $25 to help support an initiative. The basic foundation of microfinance, to give loans to the impoverished for start-up business, has specifically helped children and women in developing countries gain independence and make a living for themselves. Over the past thirty years, microfinance institutions (MFIs) have given small loans to poor or low-income people, taking minimal collateral (if any). The microfinance movement is premised on the dream that low-income households have permanent access to quality financial services to finance income-producing endeavours, “build assets, stabilize consumption, and protect against risks”. Services include microcredit, savings, insurance and money transfers. Other services include education and support, which are integral to providing lasting growth and prosperity for lendees. While microfinance has helped to bring economic independence to women and children, there are questions as to the long-term stability of the microfinance movement. Does it provide the long-term answer for the world poverty crisis? Due to the extreme poverty, some loanees have taken on loans in the guise of starting a business, but have simply used the loan to cover their personal expenses. In places such as India, when a woman is found to have a MFI loan, the dowry price increases, lessening the likelihood of her using the loan for business purposes. Extreme poverty provides a strong foundation for exploitation of not only the people, but also the gift itself. In developing countries, only the extreme poor are given microloans. While the poor loanees are given support by weekly community support groups, it is questionable whether or not they have the skills, or the market opportunity to make a lasting impact on the economic landscape of the country. Can such an investment truly see high economic return for the country? Microfinance is only addressing what its name implies, the micro issues within the country, and forgetting to provide solutions at a macro level, that could change the economic prospects of the entire country. Microfinance takes a minimalistic approach to a larger issue. While microfinance addresses the issues of individuals, it lacks the foresight to solve the core issues of multi-generational poverty, and exploitation. An entirely new economic system needs to be implemented if lasting change is to be realized. Microfinance merely provides a uni-generational Band-Aid to a multi-generational issue. Loans should also be available to citizens that have already shown business acumen; the loan would be an investment into an already proven business, or concept. Why is it that formalized microcredit is superior to informal credit systems already in place in developing countries? Over time, dishonest MFIs have begun to target women in their lending strategies. Women tend to repay their loans at a higher rate than men, and are more likely to take out a loan and pour it back into their business – instead of spending it on themselves. Dishonest lenders have the potential to exploit women’s dependability by charging high interest rates, or encouraging them to take out larger loans than necessary. In order for microfinance to succeed, or more specifically, microcredit, loanees must be able to pay back the loan, plus interest. There is no guarantee that the small business venture will be prosperous. This extreme pressure exerted over lendees has forced relatives to take on the debt of dead relatives. Instead of passing on a legacy of economic growth, many poor loanees do not have the resources to pay back the loans plus the accumulated interest, thus thrusting themselves and their relatives into deeper poverty. A lender’s top priority is to ensure that their money will be returned to them. In a lender-small business relationship, the business owner usually loses, because of their lack of experience and need of the money. The lendee must be able to “generate income at a higher rate than the interest they are paying”. The best time for any business to seek financing is when they do not need it. In the negotiation process, if the potential loanee desperately needs the money, they have minimized their bargaining power, as they grasp for any and all resources that appear before them. The lender has the opportunity to seize the most control, because they are the financer, limiting the vision and decision-making power of the small business owner. Microfinance might not be the best long-term answer, although it is an admirable beginning. Instead, Macrofinance is the ultimate provision that can create lasting economic change throughout the world. Macrofinance takes a holistic approach to the issue of poverty, and its fruit. It creates shared value for both the donator and the recipient. 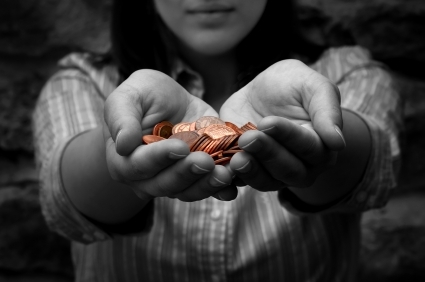 The donator is able borrow the money to make a loanation (loan + donation) to charity. The donor then receives a tax credit, or profitable gifting arrangement for their charitable donation. This form of profitable giving produces a whole new realm of shared giving; one can do well while doing good in a philanthrofinancial, philanthronomic system. Philanthropy demands that people on a national and global scale ban together to initiate change. While Microfinance is a great start, it might not have the strategy in place to initiate lasting impact, economically or socially. How do you make the world around you a better place? Have you donated to Kiva, or a similar Microfinance institution before? What successes have you seen? My pleasure 🙂 Anything we can do to help the world around us seems like an awesome idea – at least we are doing something, right? But when we start to break down the systems at play around us, we may start to realize that there are better ways to enact change. I found (and find) this line of work and research fascinating. I think I’ll post more about it! I love your points and where you’re coming from but I’m dubious of macro-financing most global poverty relief efforts. In many cases, vast amounts of treasure are stripped by governments and other corrupt channels. In other cases, it temporarily sustains poverty which makes the measure even more unsustainable. Please don’t mistake my point, funds are needed for aid of any kind. But I firmly believe the only way we can truly enact a positive change is to volunteer out time and talent. I’ve recently enrolled in Big Brothers Big Sisters because I myself am invested in one child’s life. I can then invest my money however is best for the child, because I will watch that need develop first hand. I was thinking of a similar subject for a post, I’ll share it with you after I’ve volunteered for a few months. I understand your concerns about macrofinance, when you look at it from an over-arching solution that is used by government officials, etc. You are correct when you say that there are many (if not most…?) governments that are corrupt and steal from their people. This is one of the main issues with charities. People do not give money to charity because they do not believe that the money is ACTUALLY reaching the people who need it; which is why many charities try to decrease their administration costs as much as possible (good press is so important)…but what about the governmental red tape in the country they are trying to reach? Does this macro approach truly help to create lasting change? I am not an expert on the subject by any means, but I think that it is definitely worth discussing. Many people opt for a micro (or local) approach to helping the world around them (as we discussed in “Does Global Citizenship Really Exist?” https://pinstripepumps.com/2012/09/28/does-global-citizenship-really-exist/) because at least they know where the money and effort is going. As I said before, if our own backyard is in need, lets start there first (or at least realize there is a need, lets not pretend like things are perfect anywhere!). If we live in such a great country/part of the world, and there is still poverty and injustice, should we not begin there? At the same time though, as a well-off part of the world, is it not our responsibility to help others who are less fortunate, and bring them relief where we can, despite the geographical distance? Will a micro approach really bring lasting change to the poverty and injustice we see around the world? Or is a larger systematic shift needed? One that benefits both the giver and the recipient? “Give a man a fish and he will eat for a day, teach a man to fish and he will eat for a lifetime.” We can do this “one man at a time”, or teach a generation of people to “fish for themselves.” How best is this accomplished? …food for thought. More questions than answers, for sure!